In Making Friends, Maggie is an English Springer Spaniel Puppy with moose antlers who gets lost on the way to her new family. When Maggie’s lost in the woods...will Alfonso the alligator eat her? Or will the other dangers get her before she can find her new family? 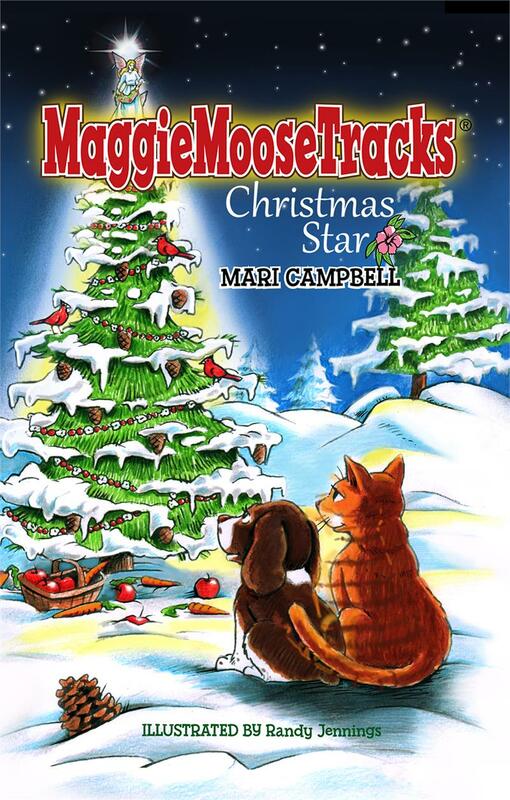 In Christmas Star Maggie spends her first winter in the forest. When Flint, the feral cat celebrates Hanukkah, Maggie asks herself what is the holiday tradition? Meanwhile, Mr. & Mrs. Beaver try to save Maggie's friend Charlie from drowning in the ragging river. 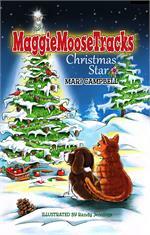 This adventure and more keep Maggie and her friends busy while Maggie searches for the meaning of Christmas. In Wolf Pack, Flint the feral cat warned Maggie about the wolves. 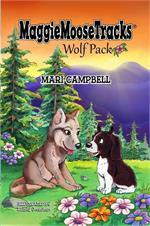 At the edge of the cliff the wolf cub, Dakota, stared at the English Springer spaniel puppy, Maggie. It was a standstill with their bodies frozen in place. No one dared to move. Then with a swift leap, Dakota pounced on Maggie. They both went tumbling down the rock slide into the canyon. Will Maggie make it back? 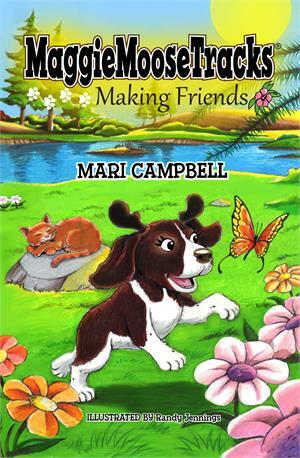 Mari Campbell is totally crazy about her English Springer Spaniel, Maggie. As the founder of the award-winning blog, MaggieMooseTracks®, Campbell is now sharing both true and fiction happy dog stories and lessons for life all centered on and inspired by her number-one canine companion and best friend. “When Maggie came into my life, the beauty of that relationship had me naturally evolve to keep up with the magic of her and our fans. What a pleasure, and joy it is,” says Campbell. Living life with moose size pawsabilities around the world… The author and Maggie live in the San Francisco Bay Area.